As we are nearing the end of the saltwater season our guiding team is slowly shifting their focus to our freshwater trips. There is always a last wave of chinook showing up at the Cap mouth this time of year and while there are fewer chinook around, if you get a hookup its usually a trophy size this time of year. The forecast calls for sunny weather for the next 10 days, so any chinook that shows up will likely stage off the Cap mouth waiting for the next push of rain. So there is still a good chance to catch that big chinook. 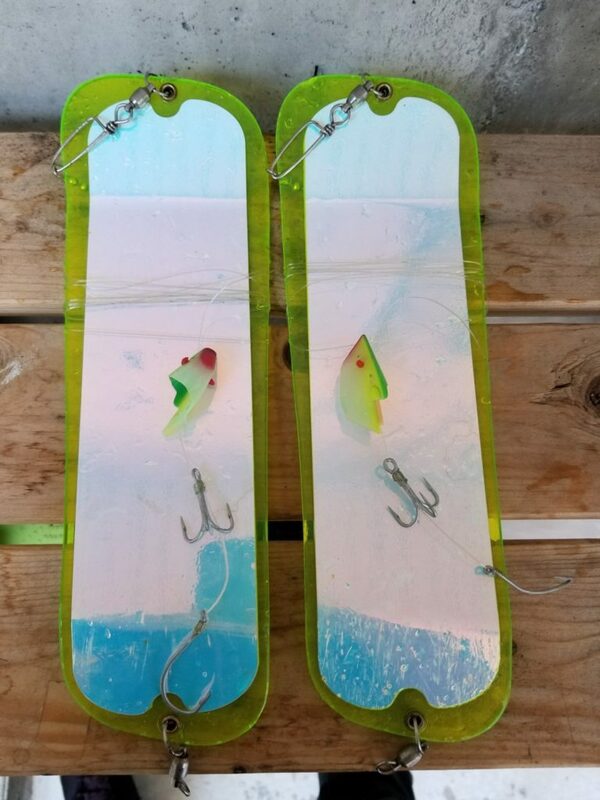 I guided a yesterday today and while we marked 2-3 fish on the sonar, they were not on the bite. We pulled our chinook gear, and put on the coho gear, went up on the flats and did well on coho. 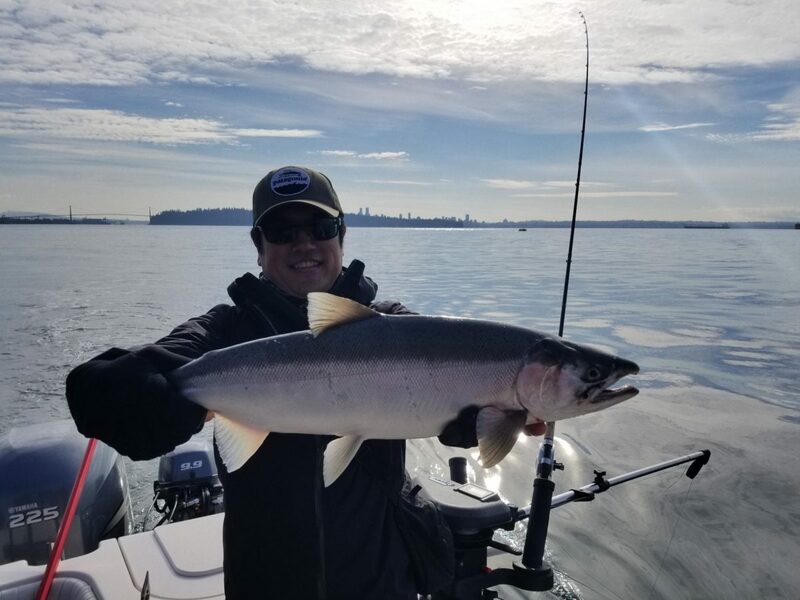 A nice late season coho landed by Lars’ guests yesterday. 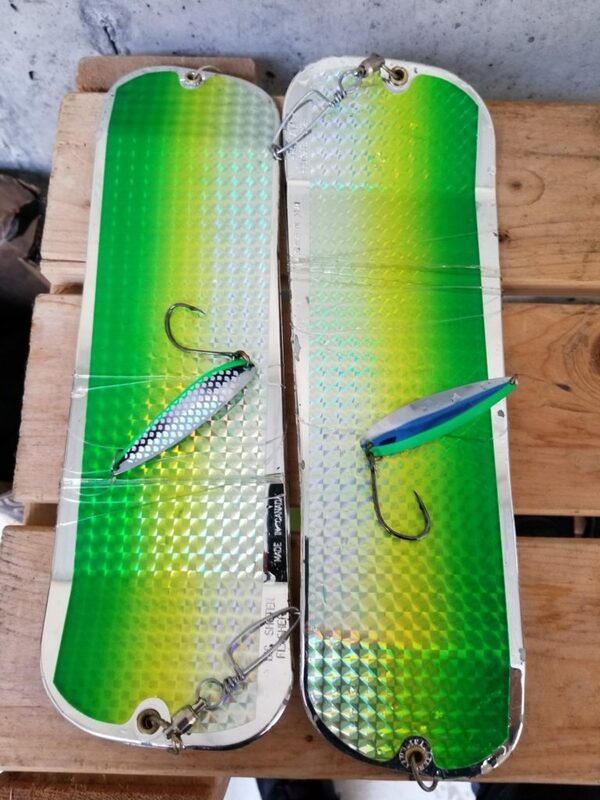 For chinook, this time of year I use the Bon Chovy flasher and Glow No Bananas teaser head, fishing right at the bottom. For coho, my go-to is the Silver Betsy flashers paired with any flashy UV spoons. Yesterday I was fishing 47 on one rigger and, either 37 or 57 on the other rigger depending on where I saw bait. We also opted to drop two traps for crab, setting in 75 feet of water just off the 2nd mile marker. There were 7 keepers waiting for us at the end of thee day which together with the coho we picked up made a great trip and very happy guests. Aside from the Cap, it’s also worth venturing south to check out the South Arm. While I haven’t heard any significant coho reports from down there, historically, the next two weeks is when the main chunk of coho and chum show up down there.